To complement the extensive range of Fielders steel roofing and building products, Fielders offer a similarly comprehensive range of quality gutter profiles in various designs and sizes to suit the specific requirements in each state of Australia. 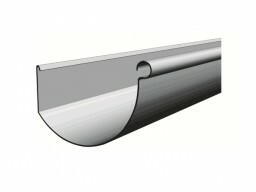 A true classic that suits both modern to traditional designs, 115mm Quad Gutter is a widely adaptable gutter profile. The combination of vast water capacity, good looks with any style and colour as well as the longevity of the quality Colorbond® Steel, Quad Gutter remains one of Fielders most popular guttering profiles. Optional slotted holes in VIC/NSW. 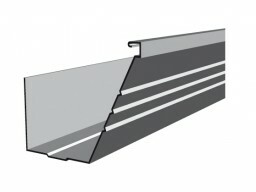 Stylish adaptable gutter profile. 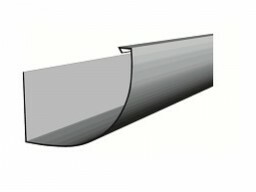 The Fielders D Gutter offers a traditional 125mm wide guttering system ideal for the home builder or renovator. 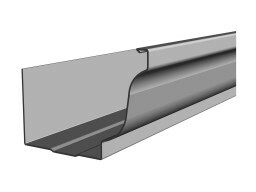 D Gutter is the most widely used steel gutter profile in Australia and is also available in a similar, smaller profile known as ‘115 Quad Gutter’. 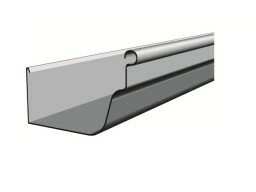 Fielders Watergate Gutter Guard easily fits the innovative D Gutter profile. 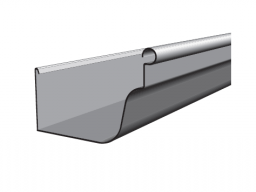 Fielders Quarter Round Gutter is able to be used on rebated fascia as it has a partially flat base Efficient water channelling to the back of the gutter reduces build-up of silt and debris. The flat back surface gives greater strength and ensures a straight finish. Easy to handle and install on larger runs, it will continue to look great for many years. The Fielders 150mm Half Round Gutter is suitable for domestic and light industrial buildings and is easy to keep clean as very little debris is left in this gutter due to its shape. This Fielders steel guttering is available in Zincalume® or Colorbond® material and is easy to install with sturdy galvanised or powder-coated external brackets and Easyfix mitres. The Fielders Halfline Gutter provides the benefits and looks of a Half Round Gutter with the added bonus of being fixed with internal brackets. It has a streamlined appearance with no external brackets and can be easily mitred. 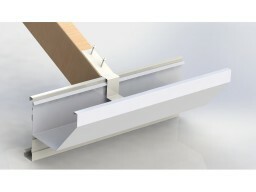 Fits the Fielders Steel Fascia system Easyfix mitres make corners easy to install. 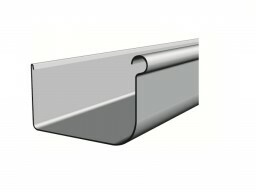 Fielders New Unique Fascia Quad Gutter is bringing a modern design to the traditional Fascia Gutter. 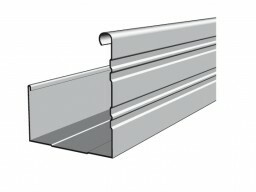 For over 40 years, high front gutter have typically been square and look outdated and boring. 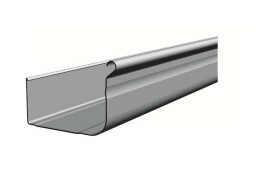 With Fielders new Fascia Quad Gutter, you can get the benefits of a fascia gutter but with a rounded profile. With more water carrying capacity than other traditional gutters and more modern look, Fielders new Fascia Quad Gutter is a Hi Quality, Hi Capacity Revolution! The Fielders O.G. Gutter System provides the builder, or the home owner with a stylish continuous length gutter in a traditional profile with modern design benefits. The high front conceals the bottom of the roof tiles or corrugated steel. To complement Fielders unique steel roofing & building products, Fielders offer a comprehensive range of Fascia Gutters to suit their gutter profiles and sizes. The Fielders Fascia Gutter system is an easy to install, continuous length gutter with a clean profile to suit tiled or steel roofed homes. 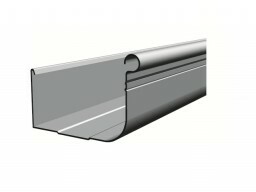 The high front profile conceals roof tiles and sheet ends (especially useful on roof decking profiles). The optional slotted gutter prevents water overflowing back through eaves and into your home during heavy rain or from blockages in your outlets. The sleek modern square profile also makes installation easier, using premade components. Fascia guttering can be easily mitred. The Fielders Wide Based Ovolo suits the WA market to a tee. It has all the benefits and looks of sleek roll-formed steel as well as a contemporary design, perfect for a new building or update to an existing dwelling. 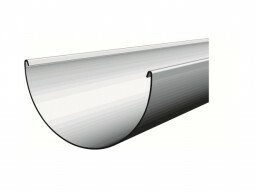 Urbis is a stylish, contemporary profile, perfect for homes requiring a modern gutter or something a little different. It has a high rainfall carrying capacity and is suitable for a steel or tile roof. Longline gutter is the perfect compromise between style and function. With appealing ribbing details it is great for those who want to make a statement while still being a smart solution for longevity and capacity. Hi-Tensile guttering is the perfect solution for those that are looking for a guttering system that combines economy and traditional style. The Fielders Hi-Tensile Guttering System is suitable for a wide range of projects, from new home construction through to restorations of traditional buildings.